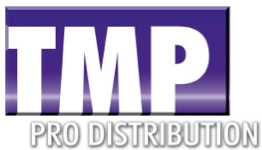 TMP Pro Distribution will distribute the full line of Westone professional and consumer music products in the United States. "Celebrating its 35th anniversary this year, TMP Pro Distribution offers the value-added service of a family business with the expertise of an organization focused on live and installed pro-audio distribution," said a representative. "TMP Pro prides itself on being more than simply a distributor. Over the years TMP Pro has consistently followed a formula of establishing strong partner relationships with vendors. Likewise, the TMP Pro team is recognized by manufacturers and customers alike for in-depth knowledge of the products that it sells." The Westone UM Pro Series In-Ear Monitors are the company's signature in-ear monitoring products! After many decades of in-ear and acoustic innovation, Westone has developed a sizable portfolio of exclusive technologies and incorporates only premium materials and optimal processes into all its products. Westone's Colorado Springs laboratories are the birthplace of these technologies and where engineers, designers, and technicians continue to pioneer new invention into the world of music and hearing. As the innovator of the in-ear monitoring industry, Westone began producing custom IEMs for bands like Def Leppard, Rush, and Van Halen in 1990, and continues to be a compulsory part of monitoring systems for cutting-edge musicians everywhere. Westone products have shaped the industry as we know it, and continue to carve a path of excellence for musicians worldwide!